The first Touch2Heal Osteopathic Clinic was established by Cecile Kiener (owner and Prinicipal Osteopath) in 1991. In addition to our Chatham Kent Osteopathic Clinic we also run clinics in Ashford and Dover. Click on the drop down menu above or visit our home page to learn more about osteopathy and the variety of conditions we treat. Cecile Kiener is a graduate of the European School of Osteopathy (ESO) in Maidstone, Kent. Cecile is an exponent of both cranial and structural osteopathy which she practices in Chatham. She is also a fully qualified acupuncturist and is affiliated to Zita West, the world renowned fertility expert. There is a common misunderstanding that osteopaths only treat back pain but this is far from case. Osteopathy is a wonderful therapy for a wide range of ailments – such as muscular pain, migraines, fibromyalgia and pregnancy pains. At Touch2Heal our osteopaths adopt an holistic approach to your treatment. By that we treat you as a whole person and not just your symptoms. Discover how osteopathy can help you. 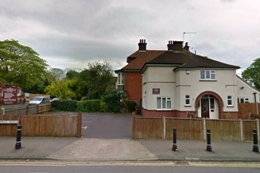 Our Chatham Osteopathic Clinic is operated from within The Mason Clinic which is situated on the corner of Maidstone Road and Cornwallis Avenue in Chatham just opposite the Texaco petrol station. The site provides ample free parking and the clinic itself offers disabled parking and wheelchair access. To find out more about our clinic, location and fees please click on the Chatham Osteopathic Clinic link. To book an appointment at our Chatham Osteopathic Clinic please call 01634 842583 or email us at enquiries@touch2heal.co.uk.